We all take ages to plan a trip, going into every little detail to make the tour convenient and worth it. Planning can wear you out when you don’t have much access to what you might need to know about the place or the place you might be staying in. It can be confusing, and can take away the charm of enjoying the tour without stressing out. Augmented Technology has revolutionized the entire traveling experience from bookings to navigation and even transportation. It has added a digital layer to the real life environment and expanded the tourism industry in easier and entertaining ways possible. the technology has allowed the travelers to find every information and perform any action they might need to from a single app through the mobile phone. When one is travelling to a new place, it gets very hard and challenging to find the way around. 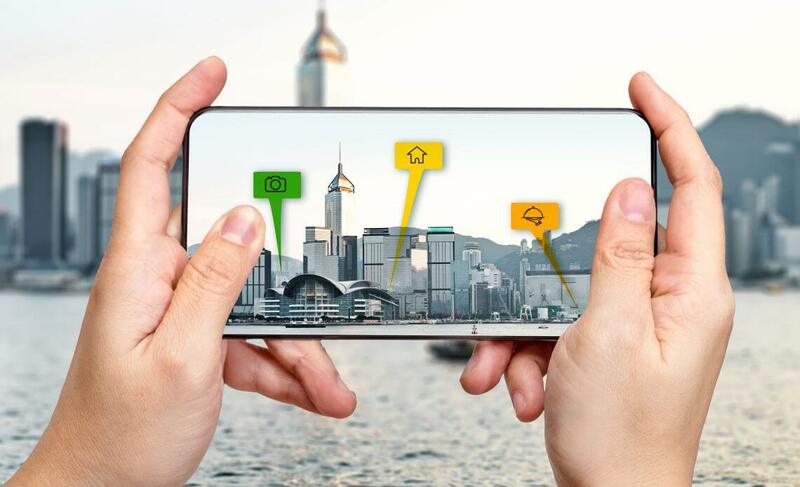 Several AR apps have emerged which provide the navigation map with very clear directions and even information so the tourist can easily find their way around. A similar app in Switzerland helps travelers find public transport, making sure that they reach their destinations easily. Getting familiar with an unknown place takes a while, especially when you do not have access to any kind of guidance regarding the place. AR technology on mobile phones has made this easy as the traveler can find reviews and information regarding nearby restaurants, locations, Wi-Fi spots, and hotels. Looking for comfortable and reliable accommodations is one of the very important aspect of traveling to a new place. It should meet the guest’s expectation and be worth their money. AR technology has made this a lot easier with interactive apps that give a virtual tour of the hotel and their rooms. This gives the customer a very clear idea of what they will be getting for their money. Several countries have come up with AR apps that give a virtual tour of the entire city. The traveler can take a tour of the restaurants, museums, stores streets and any other place that they might want to visit while on the road. This gives them more options to find out about the entertainment they might want to have access to or try out local food. The AR app has done a lot of benefit in this regard. Language is one of the barriers that one comes across when visiting different places. The AR apps provide simple translating options that help you read or understand the local language. Some apps also provide scanning options of menus or signs that are instantly translated for better understanding. Augmented Reality has changed the entire tourism industry, making it easier to attract tourists from all around the world. The booming industry has a lot of options where it can make use of AR further while all of us can sit and plan for the next place to spend our time at.